Happy Hosting Diwali Offers 2017 from Hostcode Lab. Web Hosting is the basic need to host your website online. Hosting your website means Hosting your Business, your dreams online. Hostcode Lab has Excellence in web hosting service since 2015. HostcodeLab provides an affordable web hosting plans to the beginners to start their dream within seconds.Along with providing shared hosting service, HostcodeLab Provide High performance Dedicated Server hosting service worldwide with multilocation having data center in USA, China, Japan, Netherland, Russia, and India. If you are thinking of to start a new blog on traveling, foods, tech-updates, reviews or maybe a new business site. 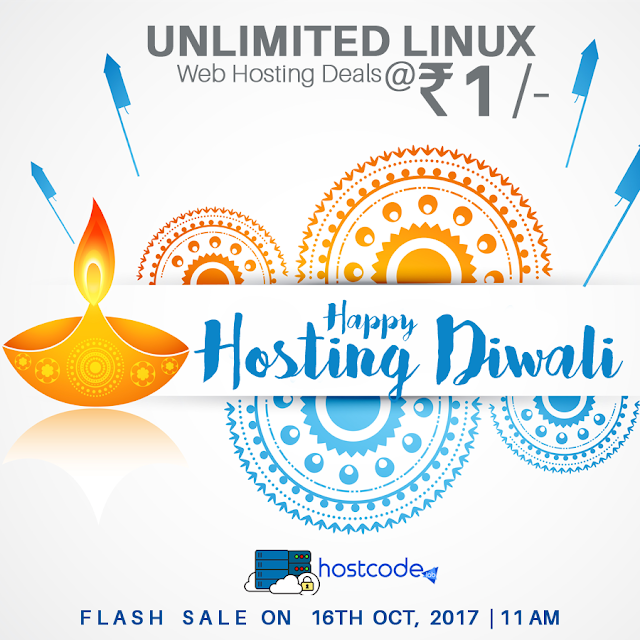 this Diwali, start a new journey with Hostcodelab with an amazing deal of Unlimited Web Hosting at ₹1. 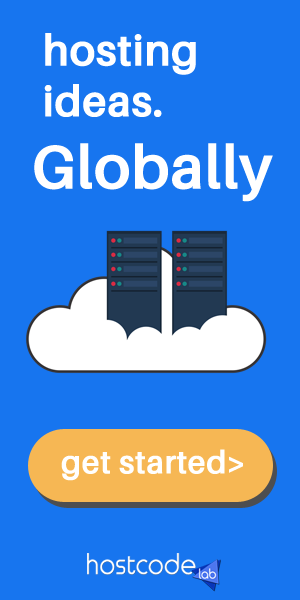 Hostcodelab will help you to accomplish your new goal by hosting your ideas globally. What's There in ₹1 ? Think what you can buy from ₹1 nowadays? A chocolate? Maybe it will also be hard to find a good chocolate for ₹1. But Hostcodelab giving you a chance to host your new dreams, your goals, your ideas with the Hostcodelab hosting platform, Where your site will go live globally. So, basically, what's there is ₹1? Unlimited emails & Unlimited Database. Softaculous for one-click Wordpress installation. So, above mentioned Premium Web Hosting plan you are getting for ₹1. For How Long the Service you can access? As It is a promotional offer, we are providing this service for 2 months only (60 Days). In this 60 days, you will be able to use the premium unlimited hosting service for your website. After 60 days, you can choose the affordable plans for your site as per your need. How to get unlimited Web Hosting for ₹1? Happy Hosting Diwali Offer is a flash sale. Therefore the Sale will be limited to few Minutes (not decided yet). It will be better if you register now for the sale, it will save your time during the order. The Offer page will be updated soon, in the official Facebook, Twitter pages of Hostcodelab. So you can follow all the official pages and can subscribe our Email newsletter too for Instant discount and promotional offer. Be ready for 16th October, Monday,2017 at sharp 11 am. Tags: Diwali Hosting deals 2017, Web Hosting offers in Diwali, Happy hosting Diwali ,Hostcodelab hosting offers.